Bread is a comfort hands down, no matter the form we love to indulge from time to time and more than some as well. Whether the delivery system is a sandwich, for breakfast, along side your meal, or dunking with your favorite dip. The one thing that could make bread even better, is fresh bread right out of the oven. kick it up another notch and have it be homemade bread. Homemade bread is by far comforting, the smell alone makes your home smell amazing and you feel a little better eating it if you know what's in it. 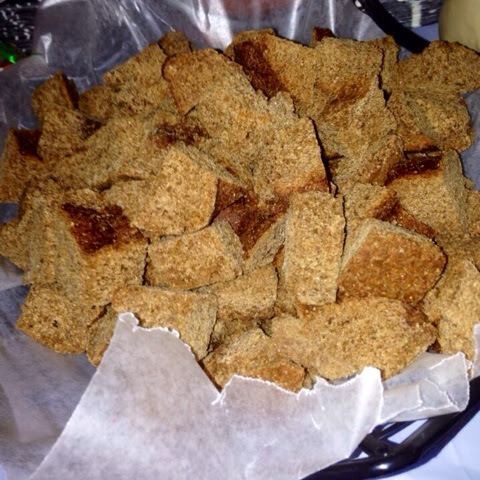 This recipe shows you how to make a delish homemade bread and not just any bread, a dark rye. Growing up I enjoyed a dark rye because it was always in my grandparents house and coming from my grandparents Ukrainian and Polish household you seem to think that's what ever kid is eating. Most kids are not fans of this type of bread but I assure you, this homemade bread will change any picky eaters mind. With its robust aroma and flavors, it makes you feel homey and absolutely comforted. 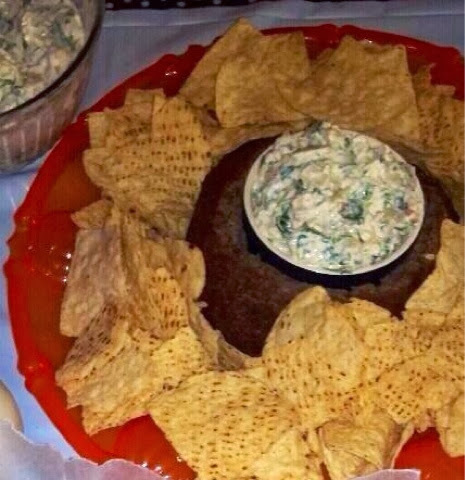 Serve these bowls hollowed out and filled with your favorite dip at your next get together. Perfect for the upcoming holiday parties. This recipe makes two bowls, so share it with a friend or loved one and become a popular person. You can't go wrong with homemade bread but I warn you you may not want to ever buy bread bowls again. Enjoy! Combine the yeast, sugar, and water in a measuring cup and let the yeast bloom. The sugar in the mixture makes the yeast work to activate and bloom properly. It should take 5 to 10 minutes, but I let mine sit for at least 30 minutes to 1 hour. I like the extra bloom it gets in my dough/breads. On low speed for 1 minute. Add the salt, rye flour, all-purpose flour, vital wheat gluten, and caraway seeds. Beat at low speed until all of the flour is incorporated, about 1 minute. Then add in the vegan butter and beat at medium speed until the mixture forms a ball, leaves the sides of the bowl and climbs up the dough hook. Let this mix for a a while until the dough gets to this stage, if you need more flour, add a little at a time. Remove the dough from the bowl. Using your hands, form the dough into a smooth ball. Lightly oil a bowl. Place the dough in the bowl and turn it to oil all sides. Cover with damp towel and set aside in a warm, draft-free place until it doubles in size, 1 hour. *Tip: I set my oven to 100 Degrees and when it reaches temperature, I turn it off and place the resting bread to rise inside the oven. Once the dough has doubled in size, remove dough from the resting place and divide it in half into two pieces. Take each dough and gently knead it by hand to work out the air bubble. Gentle flatten the dough out a bit to fit the loaf pans and roll into a formed loaf. This will be like rolling a sleeping bag. Place each loaves into greased loaves pans. Repeat the process of rising the loaves in the pans for another hour. Again I did mine in the oven with a damp towel, in there own pans. Once the last rising has been done, remove from the oven and roll each into there own ball. You can either do both as bread bowls or do one as a loaf (to cut up for chunks) or do both as bowls. Heat the oven to 400 Degrees. When the oven comes up to temperature, place the pans into the oven and bake them for 20 to 30 minutes. For the perfect bowl shape, you can bake in a oven safe glass bowl to ensure the bread doesn't flatten and the bowl rounds out nicely. *The bread should have a nice hard crust on the outside and smell yeasty, you don't want a burnt smell coming from the oven. Once the bread has baked to perfection, remove from the oven and cool on a rack or on top of wax paper. To serve, slice the one loaf (if doing 1 loaf & 1 bowl) to desired thickness and pair along side your bowl and dip. The bowl can be cored, hollowed out, and filled as desired. Store both breads in a sealed plastic bag away from moisture. 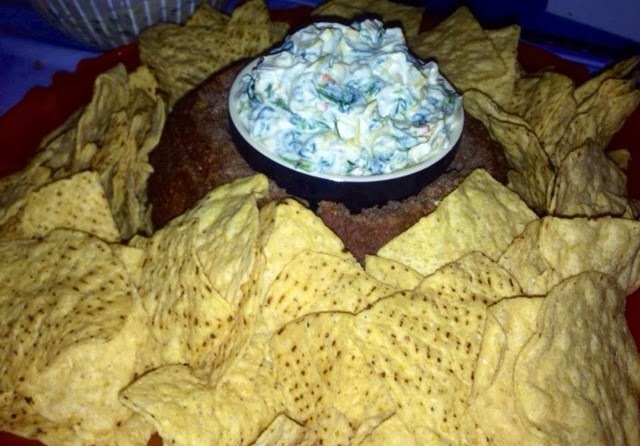 Serve along side or filled with your favorite dips and chips. You can't go wrong with deciding what to do with this bread, enjoy!